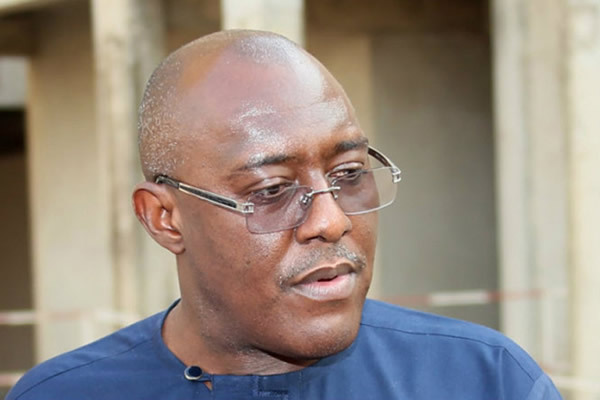 A former National Publicity Secretary of the Peoples Democratic Party, Chief Olisa Metuh, has said he’s in support of the President Muhammadu Buhari’s anti-corruption war. He said he’s already searching for money to refund to the national treasury, the N400m he was paid by the regime of former President Goodluck Jonathan for image laundering. Metuh is currently undergoing trial for allegedly collecting the money from the office of the former National Security Adviser, Col. Sabo Dasuki(retd.). His prosecution by the Economic and Financial Crime Commission, has reached advanced stage. The N400m was said to be part of money meant for the purchase of arms to wage the war against insecurity in the North-East. Metuh, in a statement issued by his lawyer, Mr. Onyechi Ikpeazu (SAN) in Abuja on Thursday, said he was ready to refund the entire money. Metuh said that his earlier proposal to refund the N400m released to him by former President Jonathan, was because he didn’t know where the money came from. The statement said, “We want to restate that at the time the money was released to him after his presentation to the ex-President, our client had no knowledge of the source, a fact that is now obvious from the evidence of the prosecution and defence witnesses. “Our client had every cause to believe that the money was from the ex-President to whom he made presentation, received directives and rendered report and accounts accordingly. “When the matter first came up and Metuh was invited to the Office of the National Security Adviser in December 2015, he requested to know the source of the money and expressed his readiness to make refunds if it was from government coffers, not minding that the money had been expended as directed by the former President. He said that it was during his prosecution that he got to know the source of the fund.